We left Hvar early in the morning, and let me tell you. It’s the best feeling ever not having to quickly pack your stuff and run for a bus in the morning. 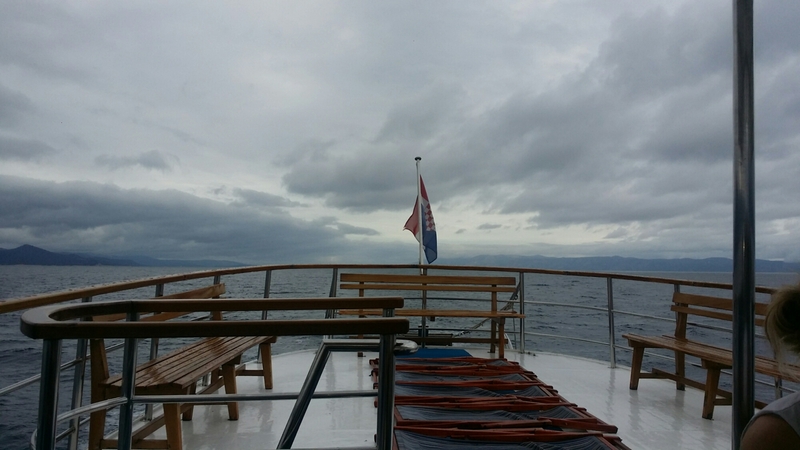 I woke up to the boat already sailing off to our next destination, Korčula. And I was on it! 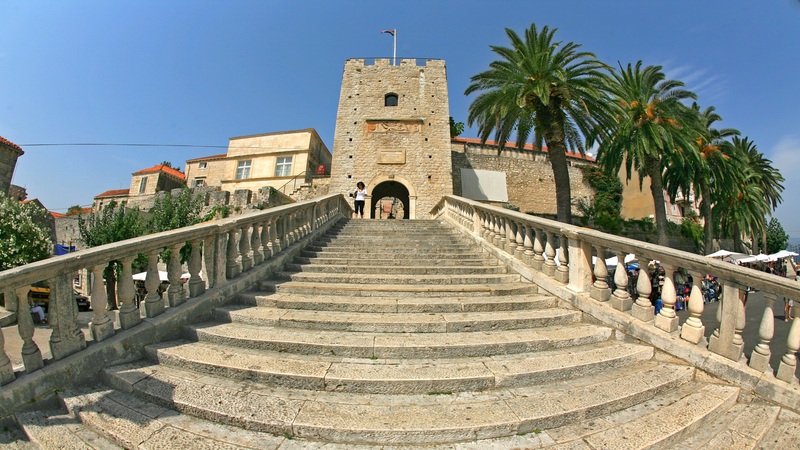 Korčula is in the Dubrovnik-Neretva County of Croatia. The island has an area of 279 km2 and is 46.8 km long and on average 7.8 km wide. It only has aroud 16,182 people and I can imagine in Summer it would just be full of tourists. However, when we got there it was pretty much a ghost town. 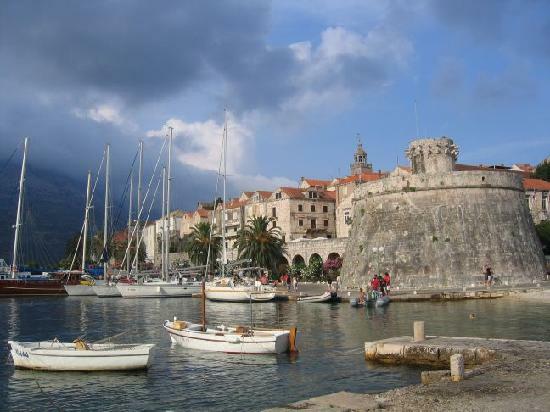 It had stopped raining when we arrived so we all headed off the boat to look around Old Town Korčula. There were barely any people, most restaurants were closed, there was 2 Gelato stores with only half the cabinets filled with gelato and the odd souvenir store. We ended up taking a stroll and then going to one of the restaurants that was open for some food. And one of the girls got a pizza. We basically sat there and used their free wi-fi while nibbling on our food and then headed back to the boat after a few hours. I probably had a nap on the boat or something haha. When it got to around 7.30pm, our group went to a restaurant that Sail Croatia has a deal with. We basically get free welcome shots and 10% off our meals. Being honest, the shots were probably Robitussin Cherry liquid forte because that’s what they tasted like. I don’t think she liked it very much either. Our tour leader said in the Summer it goes off and it’s so much fun. Then kept hiding in the bushes when we walked back to the boat at 3am. Someone’s gotta have some fun! I think everyone got bit drunk that night, even though it wasn’t a full-on night I think we all still had a good time.